London's £30,000 house of the future? Jump to media player The Y:Cube housing unit is the YMCA's solution to the lack of affordable housing in UK cities. 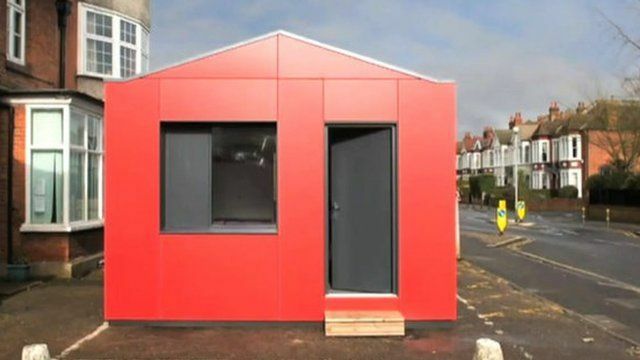 A new housing unit developed by the YMCA may offer one solution to the lack of affordable housing in London and other UK cities. The Y:Cube is a 280-sq-ft (26-sq-m) studio-like apartment made for single occupancy. It can stand alone, or be stacked into bigger housing blocks. The units are constructed in a factory and arrive on site ready-made, with water, heating and electricity incorporated into the unit and ready to be connected to local facilities. The YMCA plans to open its first Y:Cube Housing scheme with 36 of the units in the London borough of Merton by the end of 2014. A unit costs £30,000 ($50,000) to build, and the one-bedroom homes will be let for £140 ($235) per week - around 65% of the usual market rent. To find out what it will actually feels like to live in a Y:Cube, the YMCA asked one of its residents to road-test a prototype. BBC News went to meet Shantae Whyte during her week in the Y:Cube.